Welcome to the second RoadToBio newsletter. Let me start by wishing you all the best for the new year. We hope 2018 will be a year full of opportunities for the chemical industry to produce more bio-based products! 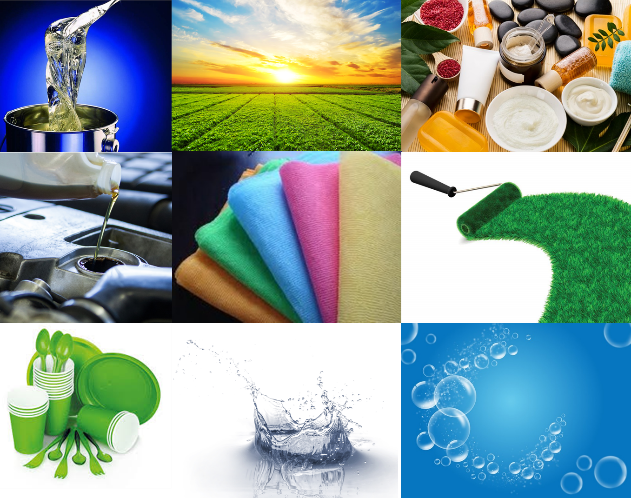 In this newsletter, we want to present our first project report, describing a desk study of the opportunities for the chemical industry to introduce more bio-based chemicals into existing value chains. Enjoy reading it and feel free to send us your feedback! The study started with the creation of a database of more than 400 bio-based chemicals, from which 120 bio-based chemicals were selected that are at demonstration or commercial scale (TRL ≥ 6) and show potential for the chemical industry in terms of market value. ­In total, more than 500 petrochemical value chains were analysed, which showed more than 1,000 entry points for bio-based chemicals. 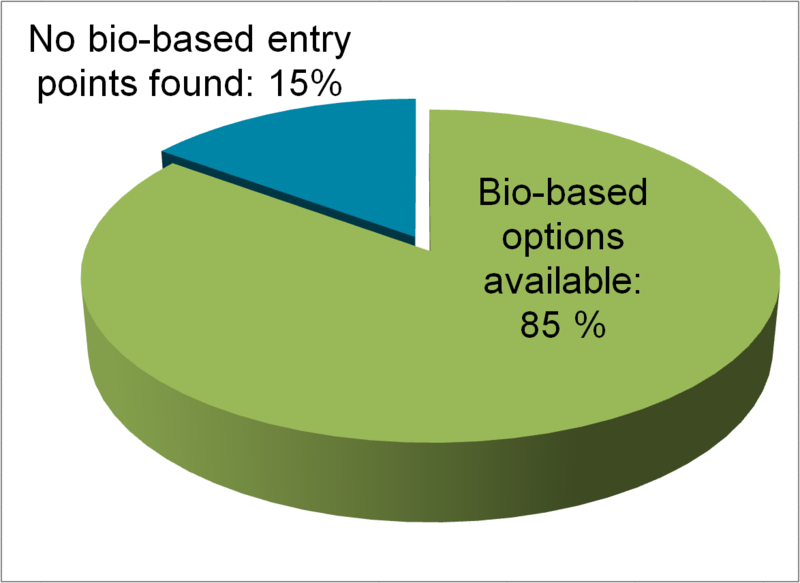 For 85 % of the existing petrochemicals, at least one bio-based route was found that is available at either demonstration or commercial scale. This study provides the knowledge base for the subsequent activities in the project, notably an assessment of the barriers as well as the most promising opportunities, and nine specific business case studies, which will be incorporated into the final roadmap. ­ More specifically, the next step will be to rank the identified matching chemicals with regard to market volumes, implementation feasibility and growth potential. ­ We want to invite you to participate in our first webinar on 7th February at 2 pm CET. This webinar presents first key findings of the BBI project “RoadToBio”, mapping out a plethora of potential entry points for bio-based products in different chemical value chains. Depending on value chains and entry points, the differentiation between “drop-ins”, “smart drop-ins” and “dedicated chemicals” can be helpful to discuss the most promising opportunities. RoadToBio’s focus on globally competitive bio-based chemicals will help shape the future of Europe’s chemicals industry and help to secure jobs in Europe’s rural and less developed regions. ­ We would like to invite you to join us on the journey to a more bio-based chemical industry. The roadmap should contain clear, realistic goals. With your knowledge, it is possible to create a strong roadmap with a high impact. Therefore, we will conduct workshops and webinars to involve you as stakeholder.